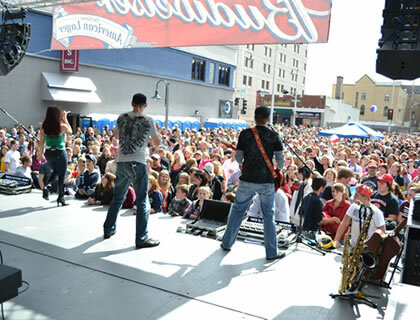 Octoberfest activities take place on College Avenue from Richmond St. on the west to Lawe St. on the east. The weather on the last weekend in September is typically sunny and pleasant, making it nicer for festival goers. How can I reserve space for a food booth? Applications for 2019 will open April 1st, 2019. Area not-for-profit groups sponsor the booths on College Avenue. All booths must serve some type of food. Please refer to the Food Vendor tab for more information. Who is in charge of Octoberfest and how can I get involved? 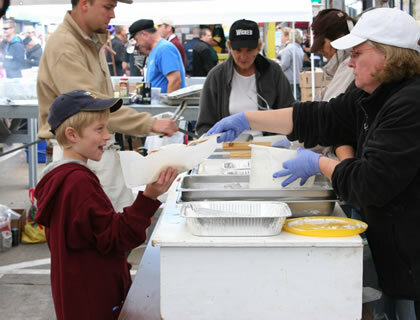 All Octoberfest profits are used to support community charities, projects and events through the Octoberfest grant fund. 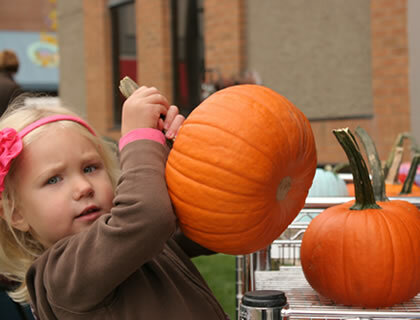 Area businesses and not-for-profit organizations contribute to the support of Octoberfest. 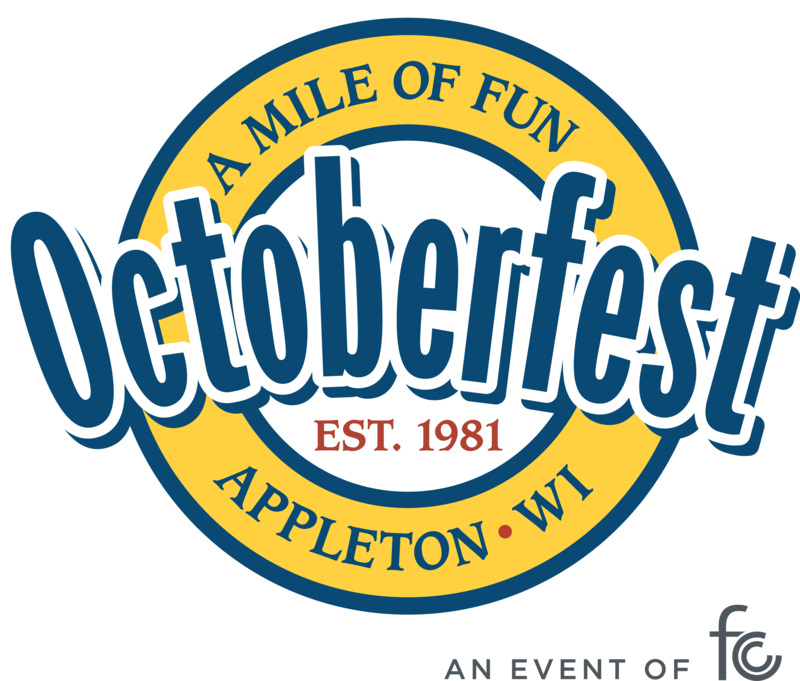 For more information on how to become a sponsor, call 920-734-7101 and ask for the Octoberfest Executive Director. Can I bring my pet to Octoberfest? No! The Appleton Common Council passed ordinance #10-47: "Animals are prohibited on public property located within the Downtown District (Richmond St. to Lawe St./south side of Lawrence St. to north side of Washington St.) for special events." Violators will be fined. $186.00. No. Beverages can be purchased on the Octoberfest grounds. Carrying any alcoholic beverage into Octoberfest is illegal. This law is strictly enforced. You must be 21 years old and have picture ID to purchase beer. 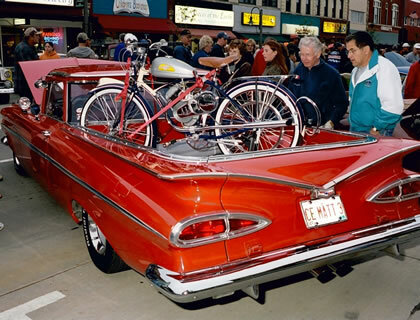 Is there free parking on the day of Octoberfest? No! You must park legally and put money in the meters or use the area parking garages. If you don't want to drive to the event, you can take a cab or ride Valley Transit for $.25 a ride. What time does Octoberfest start? 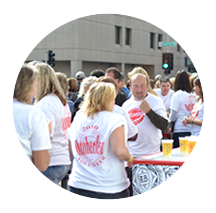 Octoberfest is Saturday, September 28. The event runs from 9 a.m. to 6 p.m. Beer ticket sales end at 5 p.m. with the bars closing at 5:30 p.m. I'd like to drink at Octoberfest, what do I need to know? Beer sales begin at 9 a.m. To consume beer, you will need to get a wristband at the designated wristband booths. Make sure to bring your ID. No ID, no wristband. This applies for everyone. After you get your wristband, you'll need to purchase drink tickets. Take these tickets to any of the outdoor bars and order your Bud beverage of choice. Ticket sales end at 5 p.m. Beer sales end at 5:30 p.m. Any unused tickets cannot be redeemed for cash.